Edible cannabis and other new forms of cannabis will be legal on October 17, 2019, according to the current Cannabis Act. The “burning” question that has been on everyone’s mind is how these new forms of cannabis will be regulated. We now have some preliminary answers to this question. On December 22, 2018, the much-anticipated Proposed Regulations Amending the Cannabis Regulations (New Classes of Cannabis) and Proposed Order Amending Schedules 3 and 4 to the Cannabis Act (together, the “Proposed Regulations“) were published in the Canada Gazette, Part I, and a 60-day public comment period is now open. The Proposed Regulations concern the legalization and regulation of three new classes of cannabis – edible cannabis, cannabis extracts and cannabis topicals. These new classes of cannabis would be legal for federal licence holders and provincially and territorially authorized distributors and retailers to sell as cannabis products; no special licence would be required.The new classes of cannabis would be regulated exclusively under the Cannabis Act and Cannabis Regulations; in other words, they would be regulated without having to refer to other federal food or drug regulatory schemes. As a follow-up to our previous article Proposed regulations for cannabis edibles, this article provides a high-level summary of some of the salient provisions of the Proposed Regulations. 102.3 Edible cannabis that is a cannabis product – or that is contained in a cannabis accessory that is a cannabis product – must not contain ethyl alcohol unless the concentration does not exceed 0.5% w/w of the edible cannabis. 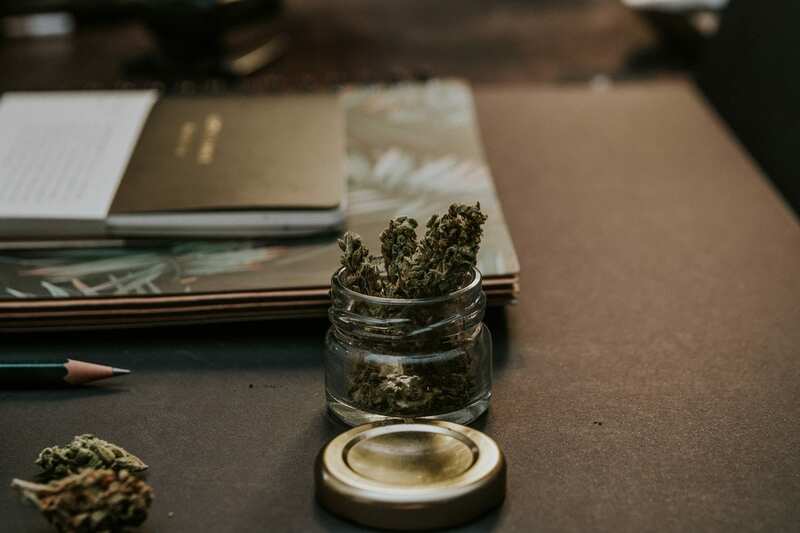 The Proposed Regulations also prohibit representations that associate a cannabis product, its packaging or its labelling with an alcoholic beverage. Under proposed section 132.3, it would be prohibited to make an express or implied representation, including by way of a brand element, on a cannabis product or its packaging if there are reasonable grounds to believe that the representation associates the cannabis product or the brand element with an alcoholic beverage. Only food and food additives could be used as ingredients in edible cannabis. The use of ingredients in edible cannabis containing naturally occurring caffeine (e.g., chocolate, tea or coffee) would be permissible, but caffeine as a food additive in edible cannabis would not be permissible, and there would be prescribed maximum concentrations of caffeine per container. Edible cannabis could not be fortified with vitamins or mineral nutrients. The use of meat, poultry and fish products in edible cannabis would be prohibited, except for dried meat, poultry and fish products. Edible cannabis would need to be shelf-stable; i.e., edible cannabis could not require refrigeration or freezing. Sampler packs of edible cannabis and co-packaging of edible cannabis with another kind of food would be prohibited. The Proposed Regulations provide that for edible cannabis products, there would be a limit of 10 mg of THC2 per discrete unit and per package. Cannabis extracts would not be permitted to contain sugars, sweeteners or sweetening agents, among other prohibited substances. On packaging or labelling of cannabis extracts, it would not be permissible to include representations of certain flavours that are appealing to youth, such as dessert or confectionary flavours. The container of a cannabis extract would have to be designed in such a way that the extract could not be easily poured or consumed directly from the container. Vaping devices or vaping cartridges containing cannabis extracts would be required to display the standardized THC symbol directly on the device or cartridge itself. There would be new prohibitions on cannabis products intended for use in the human eye, on damaged or broken skin, or that otherwise penetrate the skin other than by absorption. For cannabis extracts, the Proposed Regulations impose a limit of 1,000 mg of THC per package, and impose dispensing controls of 10 mg of THC per activation on certain cannabis accessories associated with cannabis extracts. For cannabis extracts that are intended to be ingested, such as a capsule, the Proposed Regulations provide that there would be a limit of 10 mg of THC per discrete unit. For cannabis topicals, the Proposed Regulations provide that there would be a limit of 1,000 mg of THC per package. The Proposed Regulations contemplate that the existing regime of plain packaging and labelling for cannabis products would still apply, as would the prohibitions and restrictions on the promotion of cannabis and the use of false or misleading advertising claims. A robust suite of new provisions would govern packaging and labelling of edible cannabis products, including requirements for a list of ingredients, the display of the common name of the cannabis product, indications of certain allergens, a best-before date where applicable, and a cannabis-specific nutrition facts table, among other requirements. There would be limitations on certain representations and inducements appearing on packages and labels of the new classes of cannabis products, including representations touting health benefits, nutrient content (such as “low fat”) and cosmetic benefits (e.g. “softens skin”). While permissible for cannabis topicals, cannabis extracts could not be advertised or otherwise represented as being suitable for use on external body surfaces, including hair and nails. The provisions of the current Cannabis Regulations that prohibit metal packaging and require packaging to have a matte finish would be repealed so that containers made of metal, such as beverage cans, would be allowed. To mitigate the risks of foodborne illness, accidental consumption or overconsumption, and cross-contamination, the Proposed Regulations would implement certain quality assurance mechanisms. For example, among other quality control mechanisms, the Proposed Regulations provide for mandatory product recall simulations, mandatory record keeping and mandatory testing for THC content, contaminants and solvent residues. The Proposed Regulations would impose certain variability limits on THC content, so that the THC content represented on packages could only vary by a certain percentage from the actual THC content of the cannabis product. Internal quality assurance controls would be mandated, including implementing a preventative control plan and appointing a Quality Assurance Person (QAP) who would conduct investigations and product approvals. There would also be strict requirements relating to equipment cleanliness, air filtration, water quality, hand washing/sanitizing stations, employee clothing, footwear, and protective covers. Many of these provisions of the Proposed Regulations are consistent with the Safe Food for Canadians Regulations. Importantly, the production of edible cannabis would not be permissible at a site where conventional food products are also being manufactured for sale, unless the edible cannabis is being produced within another building on the licensed premises. According to the Government of Canada’s Regulatory Impact Analysis Statement that accompanies the Proposed Regulations (the “Impact Statement“), this prohibition is designed to help mitigate the risk of cross-contamination, mislabelling and product mix-ups. Now that the Proposed Regulations have been published, there is a 60 day public comment period following publication of the Proposed Regulations in the Canada Gazette, Part I, which expires on February 20, 2019. An online questionnaire is available. Following the public comment period, amendments may be made as the draft regulations are updated. Once finalized, the final regulations will be approved and published in the Canada Gazette, Part II. Ultimately, the Cannabis Act will authorize the sale of these new classes of products no later than one year following the coming into force of the Act (i.e. by October 17, 2019), unless brought into force sooner by Order. The Impact Statement also serves as an important reminder that Health Canada will continue to provide robust oversight over the cannabis industry, as it does now, once the Proposed Regulations are in force. It bears repeating that Health Canada’s enforcement powers include, but are not limited to, issuing warnings, implementing product recalls and seizures, refusing, suspending or revoking an authorization, licence or permit, issuing administrative monetary penalties of up to $1 million, issuing ministerial orders, conducting criminal investigations, and recommending criminal prosecution. Once they become law, the Proposed Regulations will open the doors to a wider array of legal cannabis products to producers and sellers of these goods. Given the strict nature of the regime imposed by the Proposed Regulations, stakeholders will need to carefully review and consider how the new regulations apply to their businesses, and implement robust compliance policies and internal and external quality control measures to ensure that their practices comply with the new regulatory regime. While they are not yet finalized and will not be law for some time, the Proposed Regulations provide an exciting glimpse into what may be the future of the legal regime that will apply to the production, advertisement and sale of cannabis edibles, extracts and topicals in Canada. This article is a guest post by Emilie Feil-Fraser, Associate at Gowling WLG. Cannabis Act, S.C. 2018, c. 16, s. 193.1. Note that the Proposed Regulations would remove “cannabis oil” from the existing classes of cannabis (allowing for a six-month transition period), because cannabis oil would foreseeably be subsumed under the new cannabis product classes. Also, while the term “cannabis concentrates” would not be on the list of permitted classes of cannabis, the Proposed Regulations would nonetheless permit the legal production and sale of cannabis products with higher concentrations of THC. Licensed processors would have to apply to Health Canada to amend their licence and demonstrate that they meet all of the regulatory requirements for the new classes of cannabis prior to being able to sell them as cannabis products. They would also have to comply with certain written notice requirements in relation to the new cannabis products they wish to make available for sale. The modest concentration of 0.5% w/w is permissible in edible cannabis in consideration of the fact that alcohol is often present as a by-product to the fermentation process, such as in products like vinegar. As those terms are defined in section 2 of the Food and Drugs Act, R.S.C., 1985, c. F-27. As those terms are defined in subsection B.01.001(1) of the Food and Drug Regulations, C.R.C., c. 870.